HTD Group PCB Manufacturing Factory Door Virtual Tour,Take the FULL Virtual Tour. 1.PCB Factory produce your project. 2.With rich experience Ji’an PCB Plant. 3.Foreign staff easy your PCB orders. You may know there were many PCB supplier didn’t have own PCB factory. In other words,some of your China PCB order may resource to other PCB factory. But HTD Group is diffirent,we have own PCB factory to produce your PCB project. With 14 years PCB manufacturing in China. Our PCB factory workers have rich experience to produce your PCBs. And Ji’an PCB Plant is one shop PCB solution PCB factory. So if you have any PCB problems,Please let me know. We will help you to handle those issues. In our company,there were some foreign staff. Those guys were very friendly to help your PCB order more easy. And foreign staff also improve our oversea PCB service abilities. Remember our official website,We will update many China PCB industry news. 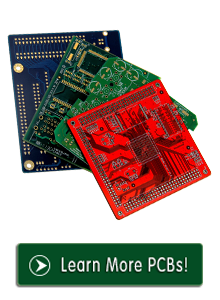 HTD Group is rapidly becoming the logical choice for PCB manufacturers in China.